Several connectivity options such as HDMI ports, USB touch, OPS, VGA, Audio, and more for further convenience. Allows user to send quizzes, polls, activities and screenshots to other devices. Promethean ActivPanel AP5-75E Interactive Touchscreen Display is one of the most innovative and efficient interactive touchscreen displays currently available in the market.The interactive touchscreen has a 75” large screen and a HD resolution that can deliver beautiful images.Moreover, the interactive touchscreen display also comes included with several connectivity options such HDMI ports, USB touch, OPS, VGA, Audio. It is supported with not only an upgradable Android-based mini PC but ClassFlow desktop as well. 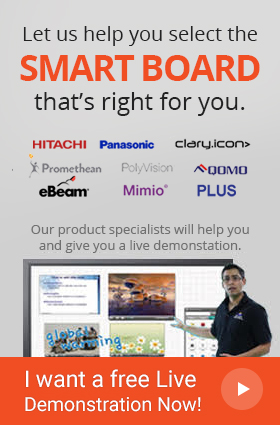 ClassFlow desktop software is exclusively designed for Promethean displays only. It is the next step for interactive lessons within classrooms making it ideal for any teaching environment. The software allows the user to work both offline or online and to create, open and present all kinds of interactive lessons through its ability to support all the popular file formats. It allows teachers to send quizzes, polls, activities and screenshots to student devices. Promethean ActivPanel AP5-75E even allows user to write, draw using the instant whiteboard, and even annotate over any type of content whilst encouraging file saving/sharing.The touchscreen also eliminates the need of setting a separate sound system through its powerful built-in 2 x 20W stereo speakers. 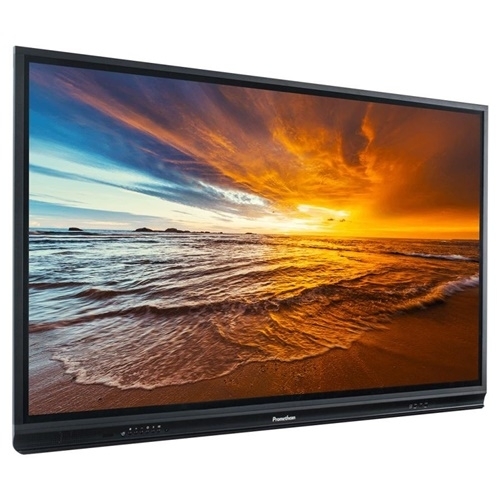 Promethean ActivPanel AP5-75E is also compatible with several OS such as Windows®, Mac OS®, Linux® and Chrome OS™.. Promethean ActivPanel Ap5-75E can also support up to 10 touch points simultaneously. 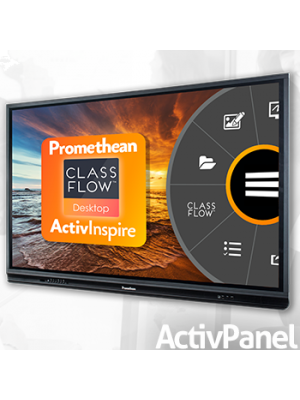 Finally, Promethean ActivPanel has a 3-year long warranty. 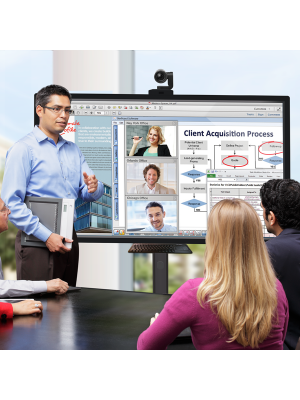 Promethean ActivPanel AP5-75E can allow up to ten users to work simultaneously together! 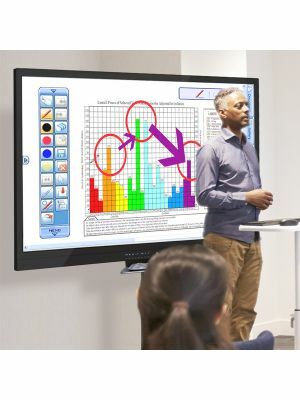 Moreover, with its enormous 75” touchscreen, the device is ideal for any sort of environment where interactivity and collaboration are essential for success such as classrooms, business meetings extra. 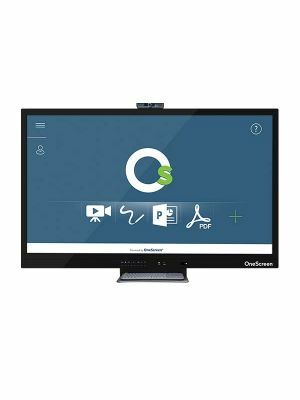 Promethean Activepanel AP5-75 comes supported with the most ideal software made to put numerous tools at the teacher’s disposal. Classflow allows the user to work online and offline with no difficulty. It supports all the popular file formats and can even send quizzes, polls, activities and screenshots to student’s devices. The software also enables the user to write, draw and annotate over any type of content.